New job, more responsibility, more overtime (at 31, I’m finally making more than I was when I was 22 – thank you Social Security Administration for that awkward factoid); great forward momentum with my band, new studio project, great opportunities coming up; insurance reimbursement for the break-in means I’m rebuilding the home studio, some work travel coming up, some big family events and reconnecting with old friends back in MD all in the works… I have been quiet, but its going well and I’m getting a lot done, much to the dismay of my knees. The Northwest basically has two seasons : hiking and skiing. When Seattle gets its trademark perma-drizzle around mid-November, the Cascades and Olympics get buried in snow. Knowing this first-hand this year, I tried to get out as much as I could to see some things on my must-do list. 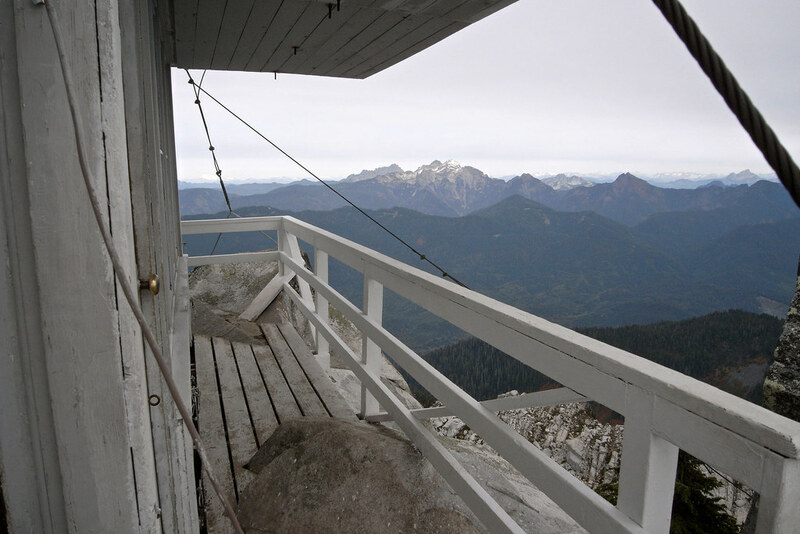 First was hitting some fire lookouts like Granite and Pilchuck. Holdovers from the beginning of the 20th century, there are still many preserved lookouts at the top of some of the most scenic peaks in the area. They’re all at least a 4-mile strenuous hike up, but the payoff makes it all worthwhile. Of course, being the Northwest, all the other granola eaters have the same idea. Having a job that has Mondays off is a real blessing in this regard. I usually wind up having the trails to myself. 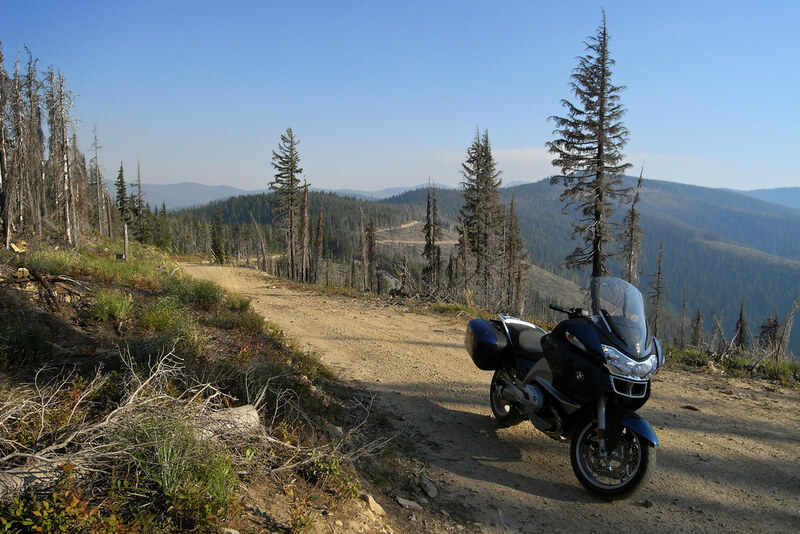 Also on the list was a ride out to Montana to do the legendary Lolo Pass (US-12 through Idaho to Missoula, MT). Preferring to ride a great road with the sun at my back, I explored some unverified backroads and trails on the way out (taking a $20k full size touring bike that doesn’t belong to you on miles and miles of rutted, rocky fire roads and trails better suited to dirt bikes is hell of a lot of fun), stayed the night in Missoula (where I found out that its a college town, filled with college women… who like to disrobe), and hit Lolo early the next morning. Words can’t even describe what a great road that was. I realize many people can’t wrap their heads around why I take off for a weekend to places unknown just to ride a road. The photos usually do a good job of explaining. Hours of being alone in the wilderness, on foot or in the saddle, with some near-religious-experience views thrown in now and then… it will get you to thinking. Not that overly emo introspective kind of thinking, just a matter-of-fact sort of reckoning with the Universe. Usually a good thing. I mean, if you’re at 6,000′ surrounded by mountains and forests and rivers just doing what you love, chances are you and the Universe are pretty well in sync. Its been a wild path thats led to this place, and no one really knows where the hell its heading. Its also damn lonely. But out in those places, you never really think about any of that, you just keep going… taking it all in… living in the moment, hoping you can share it somewhere down the road. gorgeous! really love that first shot so much. makes me quite homesick actually. really no place quite like the pacific northwest.